In 2012 there were just over 1.2 million licensed motorcycles in Great Britain and 2.8 billion miles were travelled by motorcycle (DfT 2013). 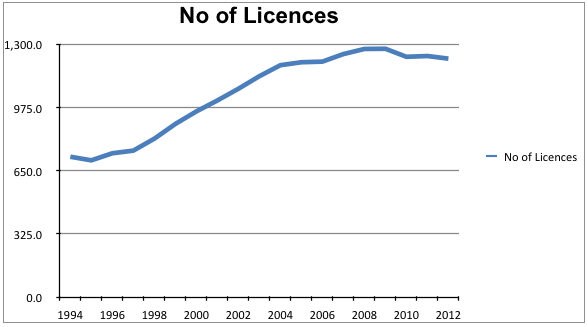 Whilst motorcycle traffic levels have dropped since the 1980s, there has been a 70% increase in the number of licensed motorcycles since 1994 (DfT, 2013). 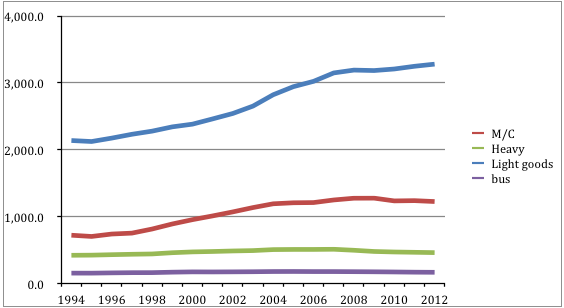 The rapid increase peaked around 2008/9 and has levelled off since (most certainly due to economic forces). Motorcycling use has some simple but important characteristics. It is a particularly seasonal activity, with a considerable increase in distance travelled during April to September. 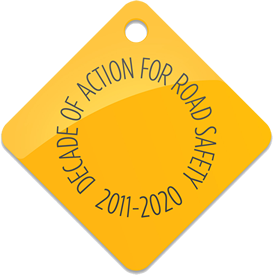 Further, the majority of motorcycling trips (60%) are for work, business or education purposes compared with only 27% for car trips (DfT 2009).